The Conservation Foundation works with more than 1,000 Mighty Acorns® students a year, giving them opportunities within their regular school day to get out of the classroom, discover nature up close and to participate in taking care of local land and waterways through stewardship activities. By having these close encounters with nature at an early age we hope to inspire the next generation to be good stewards of the environment. Mighty Acorns® is a stewardship-based environmental education curriculum for 3-5th graders that incorporates classroom curriculum, hands-on restoration and exploration activities, and is tied to Next Generation Science Standards, STEM and Common Core. Our experienced naturalists provide classroom and outdoor activities during the fall, winter, and spring seasons. We connect our Mighty Acorns® schools with a park district, forest preserve, or nature center in their community where their students can perform the program's stewardship activities. We have found that this hands-on experience improving natural areas and habitats right in their own neighborhood is a source of excitement and true pride for the students, and makes a deep connection that stays with them as they grow. The Conservation Foundation delivers the Mighty Acorns® Program in DuPage, Kane and LaSalle Counties. 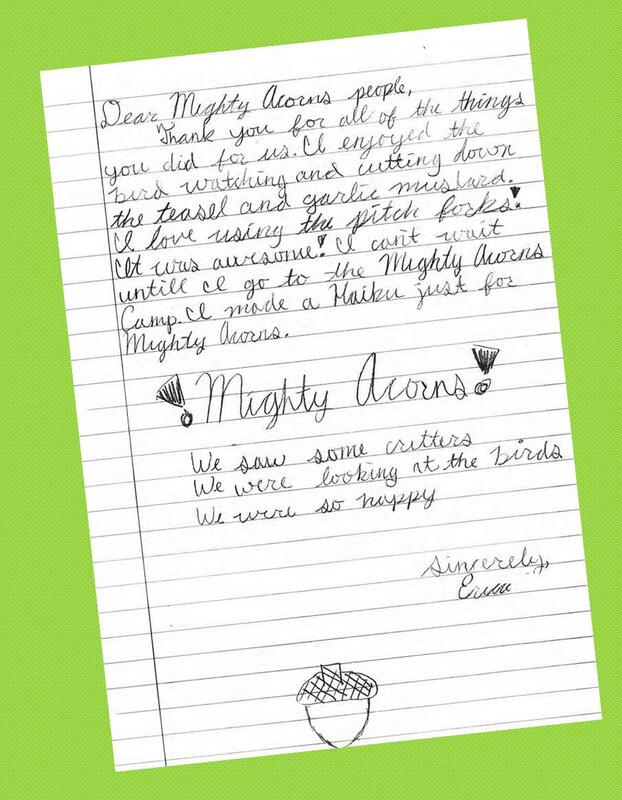 If your school or club is interested in the Mighty Acorns® program, please click here to contact Carolyn Wagner.